The online Registration and Housing systems for SIGGRAPH 2013 in Anaheim are currently open. Register and book your rooms now for the best prices. SIGGRAPH 2013 has registration categories for every schedule and budget, including discounted rates for ACM SIGGRAPH members. For maximum savings, register before 31 May 2013. 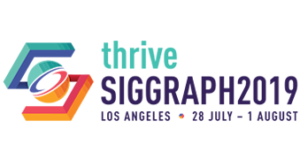 To learn more and register online, visit the SIGGRAPH 2013 registration page. For SIGGRAPH attendees from outside the Anaheim area, discounted rates are available at nearby hotels. These discounts are for SIGGRAPH 2013 attendees only. Reservations made after 17 June 2013 are based on availability, and rates may increase. For more information, and to make reservations online, visit the SIGGRAPH 2013 housing information page.